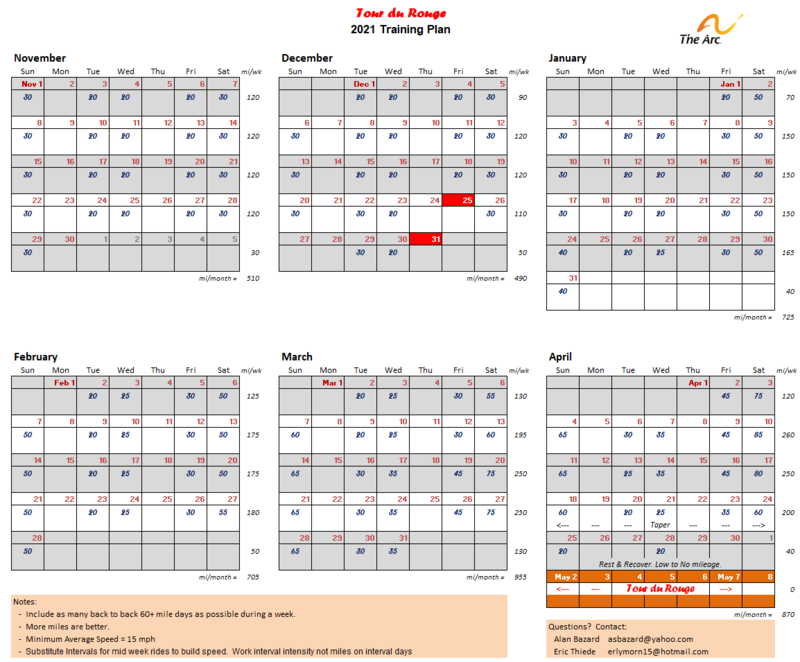 Tour du Rouge is six consecutive days of longer rides. Since most of us don't usually ride that hard, we suggest that you train. If you follow the training mileage in this plan, you should finish each day of the ride with a smile on your face. The Gulf coast can be windy and the route we will ride is largely unprotected. So try to spend some of your training time riding into the wind. Click on the image above for a full sized training plan.